Finding determination to rise from the ashes of a world in shambles is strength in the truest sense. Every individual faces internal and external battles in their complex lives, but how much devestation can one heart withstand? Everyone has felt lost, hopeless, or defeated at one time or another. A person’s strength is defined by their reaction to these feelings and if they are able to grab hold of their lives and find their way back to the track of success. The world has seen many strong individuals but Ella Fitzgerald holds a top spot on the universal list of strong men and women. “The Queen of Jazz,” was not always a successful musician. Like you, she had a childhood, family, friends, and dreams. Fitzgerald was born in 1917, to a young unwed couple in Virginia. Before her first birthday, her mother and father had split. She moved to New York with her mother and the man her mother was seeing. At six years old, she was introduced to her infant half sister. 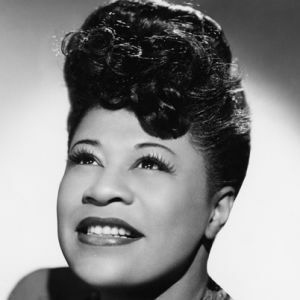 Ella Fitzgerald recognized her love for music and dance as early on as the third grade. Sadly, her mother passed away due to a heart attack in 1932. At a young 15 years old, Fitzgerald was left motherless and fatherless. To make matters worse, she began being abused by her stepfather. The beatings were physical, but they scared her emotionally as well. She was a beaten and battered child. Her grades fell to be nearly unrecoverable, and she began skipping school regularly. In the 1930’s it was hard enough to be a colored teenage girl, but to have no parents and no where to turn was nearly unbearable. The only option Fitzgerald saw left for herself was to run away from her abusive stepfather. For a short period of time, she found refuge in the home of her Aunt, but she soon became involved with the wrong crowd. Being a lookout for a brothel is no woman’s dream, but it was the only path Fitzgerald saw. She began a life of crime that surrounded prostitution and illegal lottery activity among New York mafia members. Eventually, she was caught by police and put into an orphanage, until being transferred later to a female reformatory school. Fitzgerald escaped the school and wandered the streets as a homeless youth for a time. On November 21, 1934, Fitzgerald was a mere 17 years old when she began her preforming career. She debuted in Harlem in the famous Apollo Theater. She quickly became a crowd favorite and began drawing in a weekly audience. Rapidly developing as both a singer and dancer, Ella Fitzgerald began participating in amateur competitions. Although she originally intended to dance in the competitions, she opted out and sang instead. Her beautiful voice helped her claim her first award in the competitions. She confidentially claimed her first place prize of of 25 US dollars. She began singing at the Harlem Opera House and was soon offered an opportunity to sing alongside band members at a performance in the Ivy League University, Yale. The leader of the band passed away in 1939, and Fitzgerald soon became the head of the band. Eventually she ventured out toward a solo career and the band broke apart. Ella Fitzgerald’s story lives on today because not only was she gifted, but her strength earned the respect of all those she came into contact with. We all have a choice, we can be held down by the hardships of life, or we can rise from the ashes with confidence in our God given gifts and talents, and be the shining stars that we were born to be.